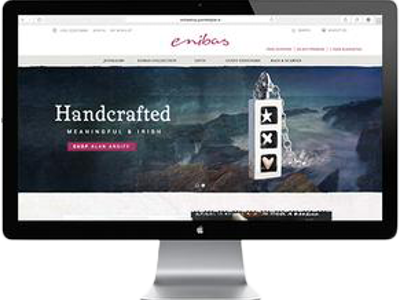 Be part of the journey... enibas launches their website showcasing the true soul of Sabine's designs, inspired by the Irish language, people and heritage. The significance of the inscriptions, the elegance and quality of her work can be with you and enjoyed everyday, wherever you are in the world. Sabine and Len became proud owners of the Schull shop on Main Street, a beautiful and permanent home for enibas. 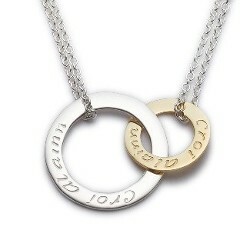 'Croí álainn', Sabine's signature collection, meaning 'A beautiful heart' has been lovingly recieved both at home and abroad. 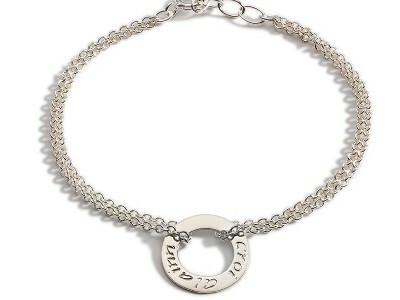 Some famous recipients of 'Croí álainn' braclets are Barack Obama's daughters. 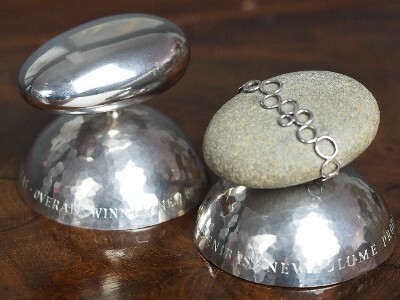 These were gifted by our Taoiseach, Enda Kenny, on an official US state visit. 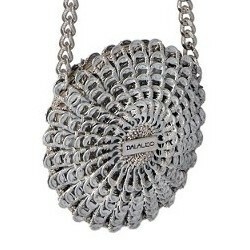 This year sees the introduction of her signature 'Croí álainn' collection. The infinite circles of 'A beautiful heart' reflect emotion and sentiment, ideal for sending a special message to a friend or loved one. 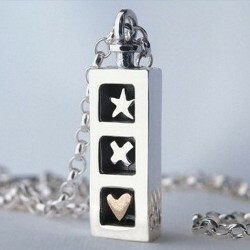 The collection is sophisticated and elegant yet its simplicity makes it so wearable. Enjoying being part of Kinsale since 2006, we are here to stay and move to a new location! 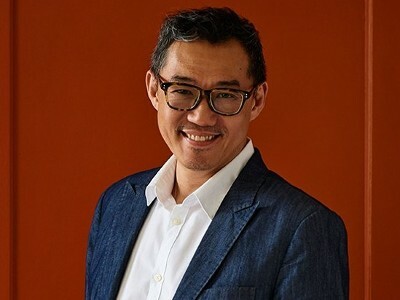 Sabine has the oppurtunity of working with Peter Ting, the accomplished creamics designer, on a European wide design project 'Avancraft'. This project gives Sabine a platform and freedom to design unusual stand-out pieces. 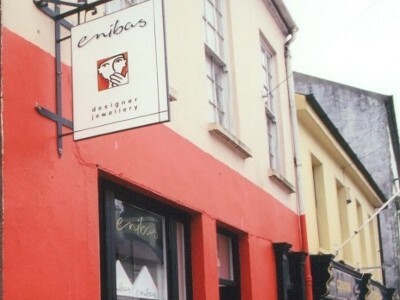 The continuous evolving of the business sees enibas turn 'Pink' in 2007! Also celebrates the launch of its signature packaging and some fancy pink paintwork on the doors of both the Schull and Kinsale shops. 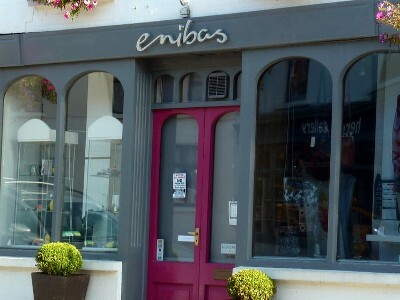 Enibas Kinsale arrives.. a sister shop is opened in the coastal town of Kinsale, also a popular tourist destination and cosmopolitan centre. 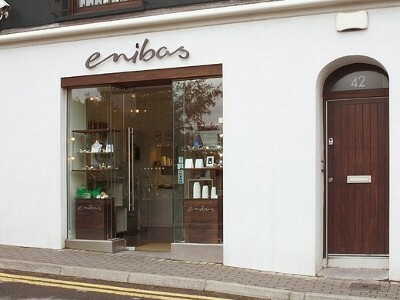 Enibas relocates to a larger premises on the Main Street Known as Cotters Yard, which is still the location today. The Crafts & Design Council of Ireland awards Enibas, Overall Best Product Award at Showcase Ireland, Ireland's Creative Expo. 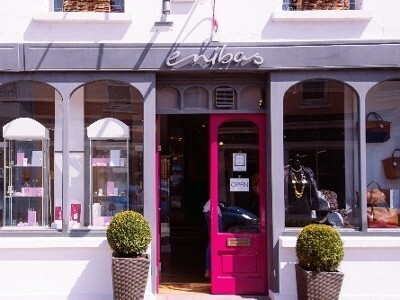 In the late 1990's, enibas opens their first shop in Schull providing a permanent platform to showcase designs and a place for customers to browse and purchase the collections. Through her love of all things Irish, Sabine launches the Celtic Script collection inspired by the ancient Celtic manuscripts, art and spirals which is still a firm favourite today. 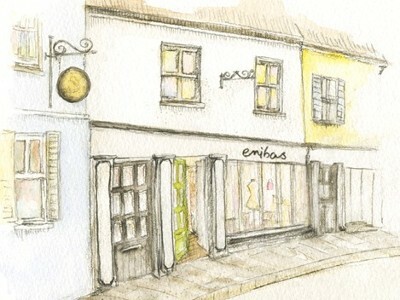 Within one year of existence, enibas pieces make their debut at a local craft market, held at the Courtyard in Schull. 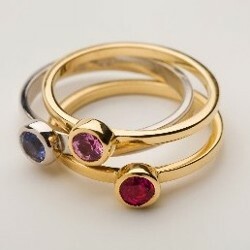 This is the first public display for the budding jewellery business. 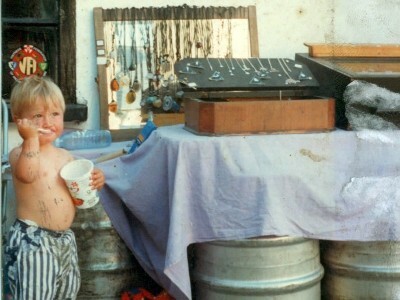 The little boy in the photograph is Sabine's son, now in his twenties. The year enibas is born in the seaside village of Schull. The name originates from the inverted spelling of owner and designer's name, Sabine, an expected quirky feature of this truly creative melting pot! 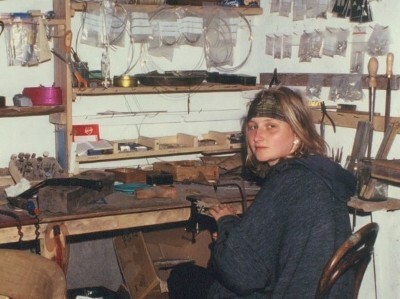 Starting out from humble beginnings, the original workshop is located behind Len & Sabine's home, its electricity powered by a generator!